Verizon has extended its fiber-optic TV service Fios with the Fios Quantum TV service allowing customers to record more TV shows and having more HD storage capacity and serving more TV's with set-top boxes. 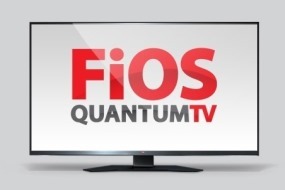 What are the differences between the basic Fios TV service and Quantum upgrade? - For 1 TV with set-top box. - Get full DVR functionality (such as the ability to pause and rewind live TV) on up to 5 TV's with set-top boxes and connected to FiOS Quantum TV Equipment. - Pause and rewind live TV on up to 10 TV's with set-top boxes - per household -, connected to FiOS Quantum TV Equipment. An big advantage of the Quantum TV extended storage is that - in most cases - you don't have to delete programs anymore from your DVR in order to free up more space. - 2478 W. Brandon Blvd. List above may not be complete, so check Fios store locations here. This 'Fios Quantum TV' page is for informational purposes only and sb-systems.com has no ties whatsoever with the Verizon company.